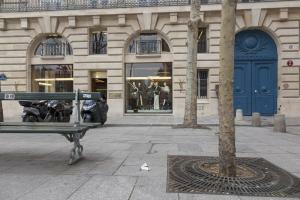 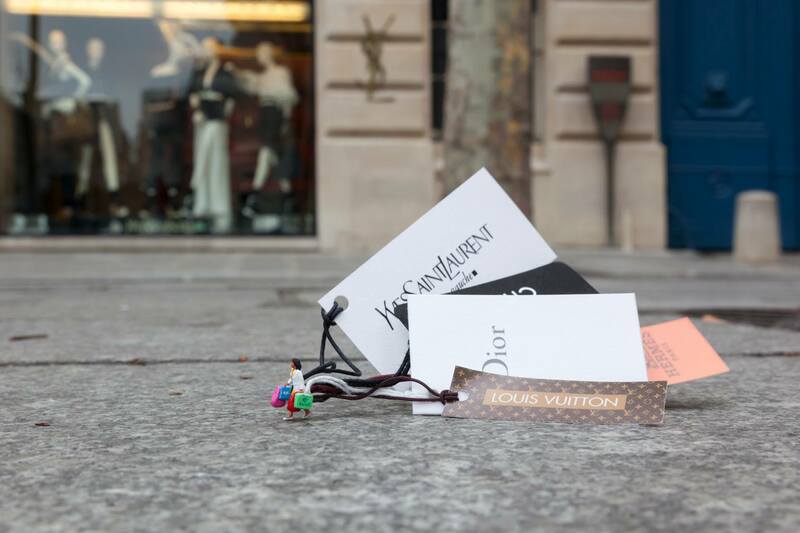 Slinkachu’s 'Branded' presents the artist’s take on the fashionable boutiques in Paris: the shot, taken outside the Yves Saint Laurent shop in Place Saint-Sulpice on the Rive Gauche, captures a female figure in the midst of a shopping spree. 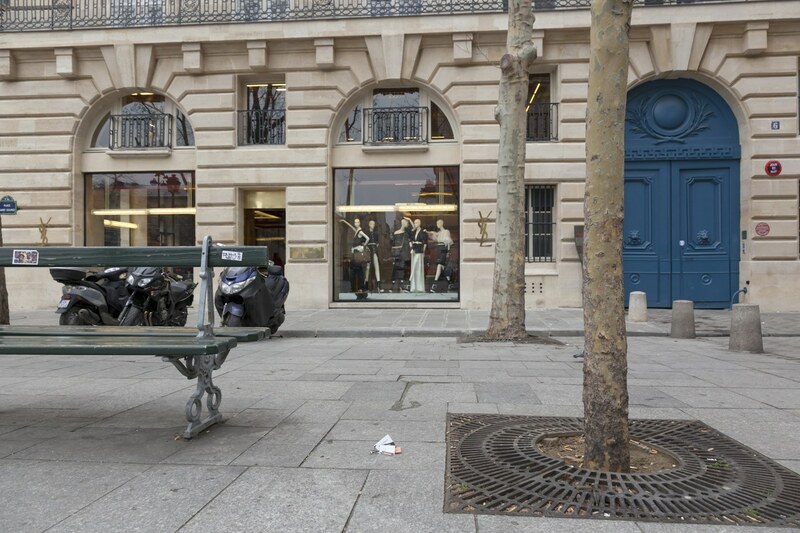 The woman carries various bags to which Slikachu has attached life-sized labels from luxury Maisons such as Hermès and Chanel. 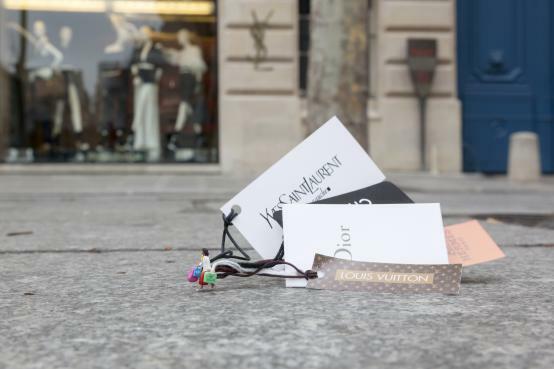 'Branded' explores the relationship between fashion and art, in a world in which we now have interesting crossover collaborations such as the Chapman Brothers-Louis Vuitton, or the Hirst-McQueen partnerships, as well as questioning the materialistic aspects of today’s world.